You're not sure whether you're supposed to laugh at it and whether you're messed up for laughing at it. Either way, you're laughing at it. Based on the 2014 Norwegian movie 'In Order of Disappearance', the film tells the story of a snowplow driver (Liam Neeson) who seeks revenge against the drug dealer (Tom Bateman) who he believes is responsible for killing his son. From the very opening scene of 'Cold Pursuit' right through to its bizarre finale, what's clear is that violence is not only a vehicle for comedy, but the manner in which it's handled is so resolutely absurd. There's a moment in the opening few minutes where a grief-stricken Laura Dern and Liam Neeson stand mute over their dead son's body is raised up in a squeaking gurney. In the hands of any other director, it'd be a harrowing moment. Here, you're not sure whether you're supposed to laugh at it and whether you're messed up for laughing at it. Either way, you're laughing at it. That void-black comedy is a tricky thing to balance, primarily because it can come off as snide and far too knowing. Instead, what 'Cold Pursuit' does so well - and what makes it so effective - is how it manages to play up the casual absurdity of death itself, and how nobody is really able to deal with it. Whether it's Liam Neeson's character deciding to take revenge in a split-second, or Tom Bateman's callous gangster who kills people as easily as he tends to his son's diet, violence is everywhere and it's never played for thrills in the regular fare you'd associate both with this genre and Neeson, specifically. In fact, picking Neeson for the lead role really is a stroke of genius and shows how self-aware he is about his own persona since the success of 'Taken' et al. Almost sublimating himself on screen, Neeson speaks in clipped and terse lines, but never with the same forcefulness you'd see from the likes of 'Taken'. In fact, Neeson is almost a supporting character compared to the gang warfare that erupts as a result of his killing spree. Tom Bateman and Tom Jackson - one as a yuppie drug lord, the other as a solemn First Nations leader who just so happens to be a drug lord - are perfectly pitched against one another and while some of the most comic moments stem from them, it never at all feels like it's forced or yucking it up for the camera. 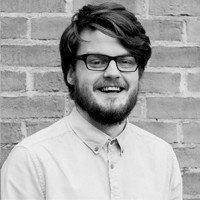 Instead, Hans Petter Moland's direction allows it to come about organically, such as the awkward silence and glares of a hotel clerk asking a group of First Nations people if they have reservations. 'Cold Pursuit' moves at a deliberate pace, and the comparisons to 'Fargo' are well-earned as there's the same essence and style present on the screen and in Frank Baldwin's script. 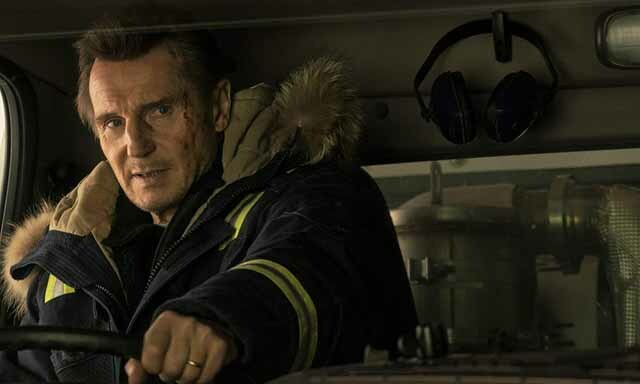 Ultimately, 'Cold Pursuit' is Liam Neeson's best performance in years and it's clear that he is trying to honestly contend with his legacy as a revenge-seeking action hero. It's just a crying shame that 'Cold Pursuit' will forever be That Movie for Liam Neeson.